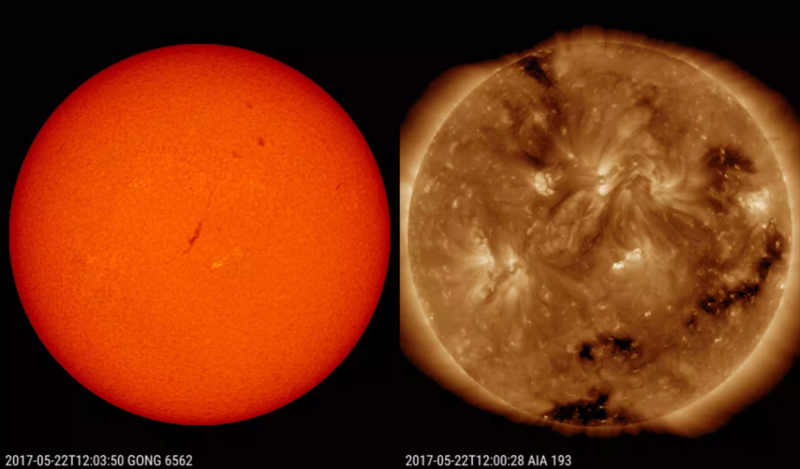 A compilation of the most memorable space weather moments of 2017 can be found underneath. Using the versatile (J)Helioviewer software, a ***MOVIE*** was created containing one or more clips of each event. 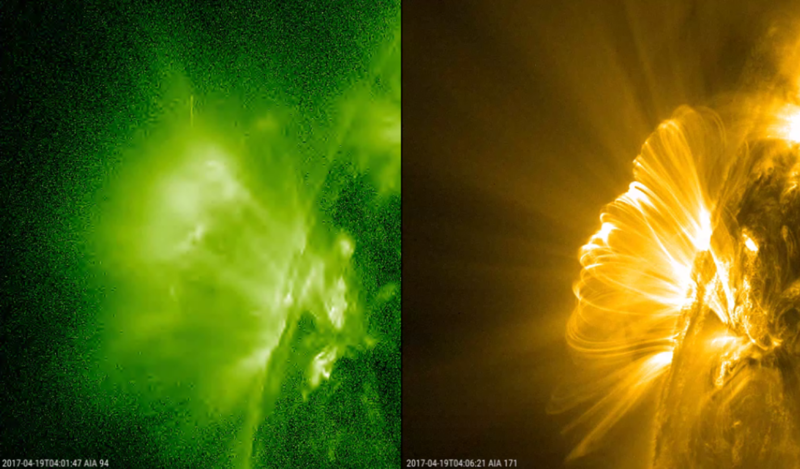 Usually, SDO-images were used, occasionally supplemented with imagery from PROBA2 , SOHO and STEREO. As this chronological list concerns mostly punctual events on the Sun, it does not contain clips from other noteworthy events in 2017, such as e.g. the first release of images from GOES/SUVI (27 February), or the Great American Solar Eclipse (21 August). Throughout the year, coronal holes were visible in all sizes and shapes. Mid-February, a relatively narrow but 1.5 million km long coronal hole was visible. It was mostly parallel to the solar equator, so it took 11 days for this feature to transit the central meridian. 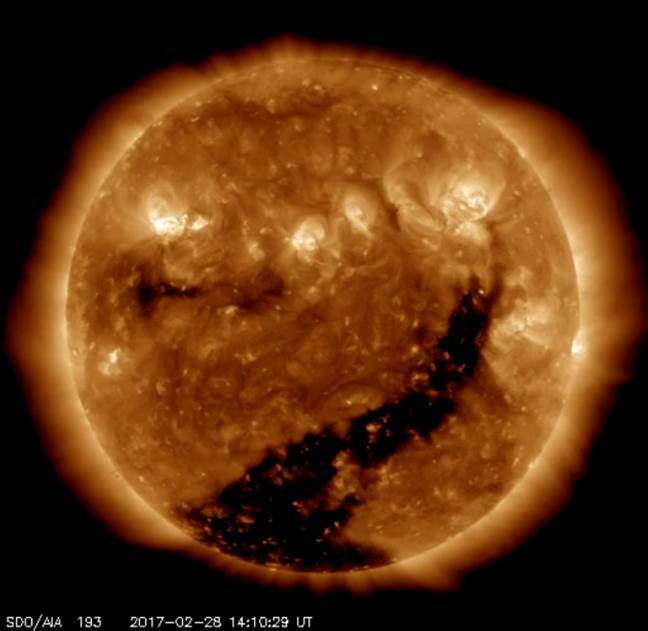 It was followed by a recurrent trans-equatorial coronal hole, extending from the Sun's south pole, that reached its largest area early March, with an area equivalent to nearly 600 times the surface area of the Earth. It was the largest coronal hole of the year, and the associated wind stream produced moderate geomagnetic storming (Kp =6; Dst = -74 nT) during its late March transit. The coronal hole fell apart and dissolved over the subsequent months. Another coronal hole extension, this time from the Sun's northern pole, was well visible during the September-October time-frame. It was not as large as the one visible in early 2017, but its wind stream was the source of recurring moderate geomagnetic storming. Solar activity was fairly low during the first three months of 2017. 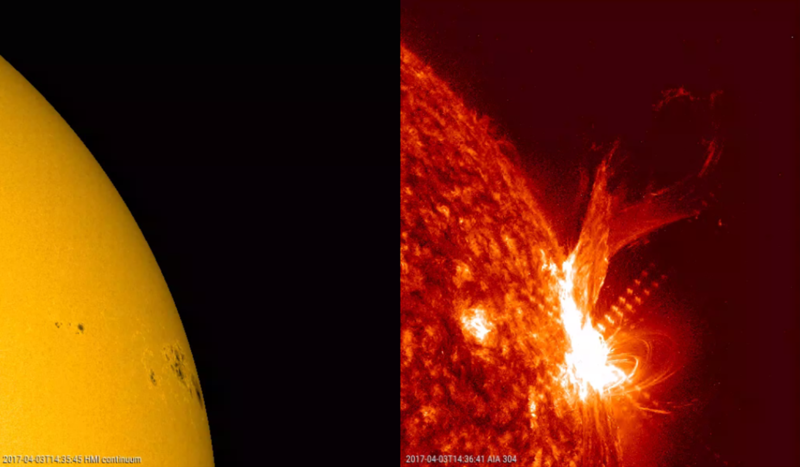 However, following the emergence of opposite polarity magnetic flux in sunspot group NOAA 2644, this active region produced 7 M-class flares in less than 3 days. The two strongest events were an M5.7 flare on 2 April and an M5.8 flare on 3 April. The solar radio telescopes in Humain detected their first type II radio burst, but as the region was close to the Sun's west limb, the associated coronal mass ejection (CME) was not directed to Earth. The series of M-class flares ended a drought of this type of events that started on 29 November 2016. Upon its return 2 weeks later, NOAA 2644 -now renamed as NOAA 2651- produced a spectacular C5.5 flare. It was also a long duration event, lasting 1 hour and 28 minutes. It displayed an impressive arcade (series of post-flare coronal loops) towering more than 10 Earth diameters above the solar surface. Despite the location of NOAA 2651 at the northeast limb, Earth received a glancing blow from the CME associated with this event around noon on 21 April. As it was immediately followed by the co-rotating interaction region (CIR) and high speed stream from a coronal hole, its true geomagnetic impact was difficult to determine. A partial halo CME with a relatively slow (projected) speed of about 200 km/s was detected on 23 May 2017. The PROBA2/SWAP images showed a strong dimming near the solar disk centre around midnight, following a filament disappearance on the same location during the previous day. 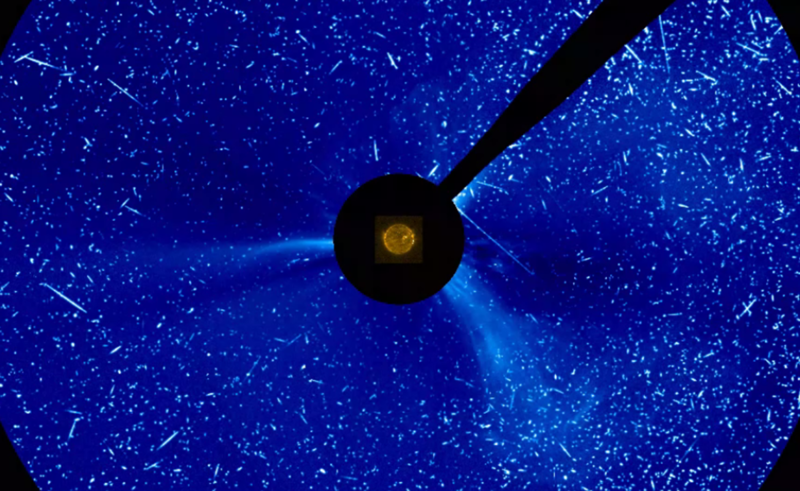 The shock of the CME was detected in the solar wind parameters measured by the satellite ACE, recording a jump in wind speed from about 290 to 380 km/s and wind density peaking near 55 particles per cm3. Bz reached a strong -19 nT, and the subsequent geomagnetic activity reached Kp = 7, with the associated (preliminary) Dst dipping to -125 nT, the lowest of the entire year. NOAA 2665, the third largest sunspot group of the year, transited the solar disk as a compact region and had a surface area 4 times that of Earth, making it an easy naked-eye target (using eclipse glasses of course!). It produced spectacular long duration events on 14, 17 and 20 July, with the one on Bastille Day being the strongest: M2.4 lasting more than 2 hours. There was also a minor proton event associated with it, the first since 2 January 2016. The related CME arrived early on 16 July and resulted in a moderate geomagnetic storm (Kp = 6, Dst = -72 nT). The passing CME temporarily reduced the cosmic rays arriving at Earth, and a Forbush decrease of 7% was recorded by neutron monitors on Earth (Oulu NM). NOAA 2665 happily continued its flaring activity while transiting the farside of the Sun. On 23 July, it produced another strong event as observed with the EUVI instrument on board STEREO-A. 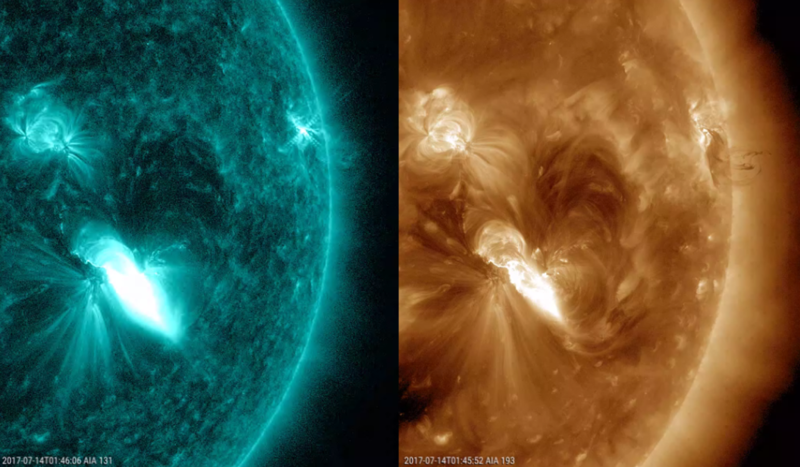 The intensity of the flare was estimated to be in the M3.0 to X1.2 range, with the strong coronal dimming, the obvious coronal wave, and the series of bright post-flare coronal loops ("arcade") testifying for the strength of this eruption. STEREO-A instruments also recorded a substantial increase in the proton flux. Nonetheless, though the flares fall on the same day as resp. the Bastille Day event on 14 July 2000 and the Carrington-like event on 23 July 2012, the 2017 events were significantly weaker than their notorious predecessors in 2000 and 2012. In 2017, the Sun produced 39 M-class and 4 X-class flares. The vast majority of these M-class flares (26) as well as all X-class flares were produced in just one week, from 4 till 10 September, and by just one region: NOAA 2673. This sunspot region started its quick development on 3 September, and together with another large (but inactive) sunspot region NOAA 2674, drove the sunspot number (119 on 5 September) and total sunspot area (1760 MH on 9 September) to the highest levels of the year. NOAA 2673 would become the largest sunspot group of 2017, and -compact as it was- visible to the naked eye (using protecting eclipse glasses). Then, on 6 September it produced an X9.3 flare, the strongest observed during SC24 and the first X9 flare since 5 December 2006. It was also observed in white light (just as e.g. the Carrington flare in 1859) by the HMI instrument on board the SDO satellite. The associated CME had a plane of the sky speed of around 1200 km/s and disturbed the earth environment starting on 7 September. Peak wind speeds and Bz were at resp. 840 km/s and -32 nT, the highest values of the entire year. The resulting geomagnetic storm reached severe storming levels (the only time in 2017), with the (preliminary) Dst at -124 nT. The passing CME also reduced the cosmic rays arriving at Earth, and a Forbush decrease of 9% was recorded by neutron monitors on Earth (Oulu NM) on 8 September. The succession of strong flares hampered HF communications during relieve efforts in the Caribbean in the wake of Hurricane Irma. NOAA 2673 had just rounded the west limb when it produced the second strongest x-ray flare of SC24. The X8.2 flare was associated with impressive and long-lasting post-eruption coronal loops towering over the solar limb, making its outlook very similar to the 19 July 2012 event. A strong proton event (1490 pfu) was recorded, being the strongest since 22 May 2013. 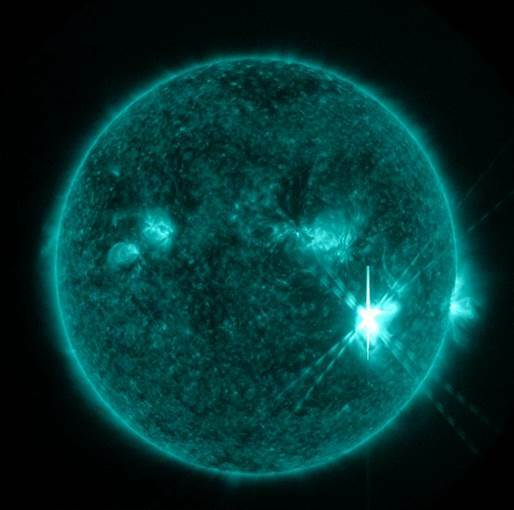 The event increased the flux of solar cosmic rays, creating a secondary particle shower in the Earth's atmosphere which was subsequently detected by neutron monitors on ground as a Ground Level Enhancement (GLE). This was only the second GLE in SC24, after the 17 May 2012 GLE. It was also only the 72nd event since neutron measurements started in the early 1940s. The Oulu neutron monitor recorded an increase of about 5% over the background neutron flux, compared to 15% in 2012. 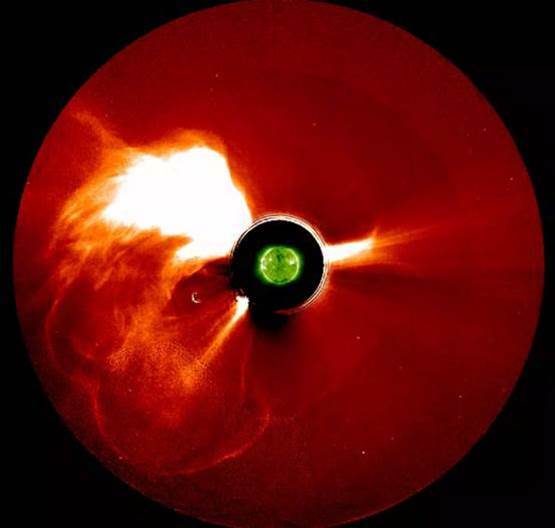 The associated CME had a projected speed of well over 2000 km/s, and managed to deliver a glancing blow to the earth environment. In the remnants of decaying NOAA 2673, a long and persistent filament would develop and remain present for the next 3 months. 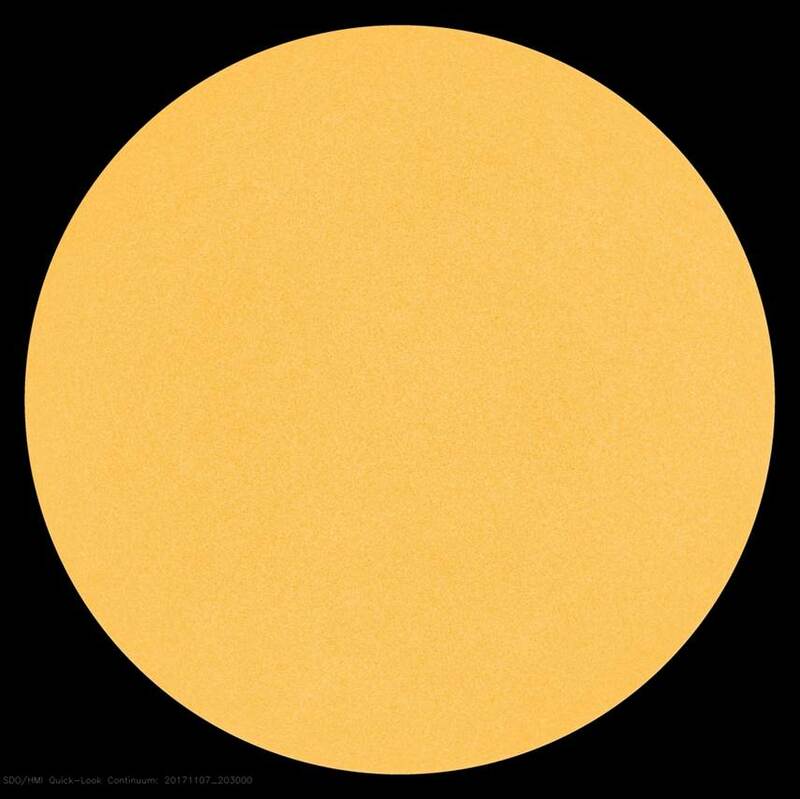 After the high solar activity in September, the number of sunspots and flares plunged to very low levels. No C-, M- or X-class flares were produced after 20 October. Of the 96 spotless days (SILSO) in 2017, 46 were recorded during the last 3 months. Long spotless stretches occurred from 9 till 20 October and again from 1 till 13 November. The longest stretch occurred earlier in the year, from 6 till 20 March (15 days).